What is the purpose of the D3 Gear in my Automatic Transmission?What is the purpose of the D3 Gear in my Automatic Transmission? What is the purpose of the D3 Gear in my Automatic Transmission? Modern cars are getting more and more functions every year. Some functions are more necessary than others, but however, each function does have a role if you look deeper into it. One of these “Strange” functions, like a lot of people, would say, is the D3 Gear in automatic transmissions. Most of us have never used that gear and will probably not do it in the future either. But what’s the purpose of this D3 gear and in which situations is it meant to use it? In this article, we will go through everything about the D3 Gear, some necessary information and the meaning and some other general automatic transmission information. Let’s Go! The D3 Gear stands for Drive 3. This means that when you have this gear selected, the shifter will lock the automatic transmission in the 3rd gear while moving forward. 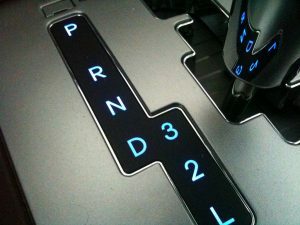 But, I have an automatic transmission and not a manual gearbox with gears – You may think. Well even if your transmission is an automatic transmission you have gears inside of it. The only difference is that there is a control unit with a hydraulic pump and some valves which are changing gear for you instead of doing it yourself. What’s the purpose of the D3 gear then? Well, there are a lot of different situations when you should use the D3 gear. If you live in a colder country with snow and ice, you are probably more familiar with this gear than if you are living in a warmer state. 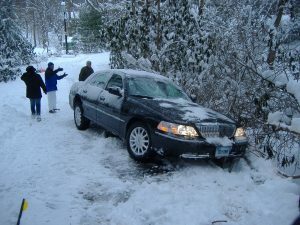 If you are going up through a slippery and steep hill, you may want disable the ABS/ESP system and select the D3 gear to make sure that the transmission is not changing gear while the tires are spinning, which could cause a drop in speed and may get you stuck in the mud or the snow. Another widespread situation when you can use this gear is when you are going downhill for long distances. If you are selecting the D3 gear, it will lock up in the 3rd gear as I told you before. The problem with automatic transmissions is that they are often running on low RPM’s and the engine braking will be close to non-existent. This is the pro’s of a manual gearbox, you will always get direct contact with the driving wheels, and the engine will help you breaking the speed instead of pushing the brake pedal at all the time. However, when you have the D3 gear selected if you are going downhill, it will get your engine to higher RPM’s which cause more back-pressure/engine brake, and it does act more like a manual gearbox, and you will reduce and hold the speed with the help of the engine. This will save you fuel, and it will save a lot on your brakes if you are going downhill for long distances. A lot of truck drivers are using this method to locking a lower gear when going downhill to prevent the brake pads from overheating and save some fuel. Overheated brake pads will cause the brakes to get non-existent in the worst case, and this could create a hazardous situation, especially when going downhill as you may imagine. It will also save you from expensive repair costs to replace your brake discs and brake pads in a workshop. What about the other D1, D2, D4 gear on my transmission? The same thing applies to these gears, and the only differences is the speed of the gear. The number behind tells you what gear should be locked. The letter L stands for Low, which is a gear lower than the first gear in most cases. So which gear is the best gear to use? – You may ask. This does depend on the situation, and you need to have some common sense when selecting this to make sure your engine is not revving too high or too low. This does also depend on what gear ratio your gearbox and axle have, so it’s an impossible question to give an exact answer for all car models. However, if you are stuck in snow, you do probably want to select the lowest or 2nd gear not to make the wheels to spin too fast. This will only cause the wheels to turn down into the snow and will get you even more stuck than before. If you are going uphill at slippery surfaces, you may want to choose the D3 or the D4 gear. If you are going to use it as an engine brake, you have to try yourself if the 2nd, 3rd or the 4th gear will give you the best engine brake without revving too high. A recommended RPM is around 3.000 RPM’s when going downhill, and you can even go higher in some situation if it’s steep. If you are going deeper into it, the D3 gear is perfect for a lot of different situations if you know when you should use it. This information can save you a lot of money from brake pads and disc replacements if you are living in an area with bad terrain or steep hills. It can also save you if you ever get stuck in mud or snow with your car. I do hope that you have learned some things from this article and you are not comfortable to use this gear to your advantage. If you have any more questions about this topic that you would like to get answered, comment down below and I will answer all your questions as fast as possible. If you have any other questions, you can check out our other posts by using the search function on our site.